Fairview Cove Container Terminal is a deep-water container terminal that can accommodate Post-Panamax vessels. The pier consists of a series of RCC cribs, RCC copewall and an RCC beam supporting a crane rail. The original construction, completed in the late 1970s, comprised ten reinforced concrete cribs. During the expansion carried out in the 1980s, nine RCC cribs were added. Halifax Port Authority (HPA), as the owner of the terminal, is responsible for its maintenance and upkeep. Inspections carried out by HPA revealed signs of AAR induced expansion of key RCC components. 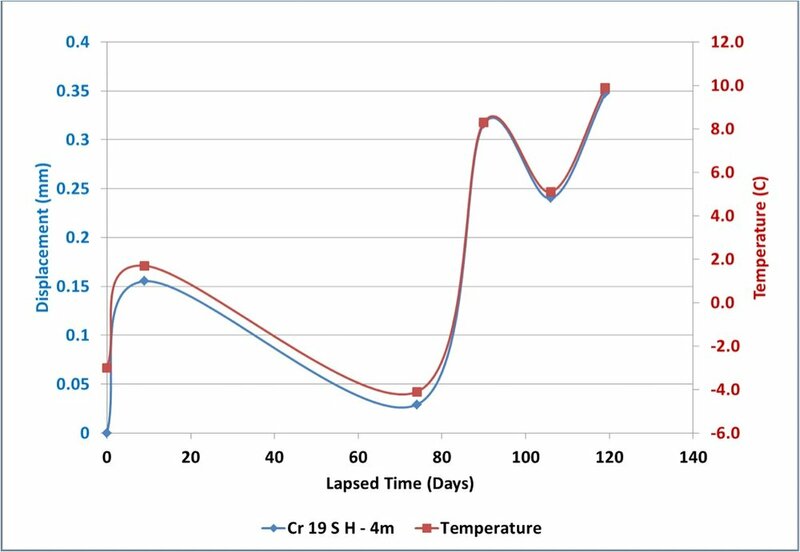 Sample cores extracted from the cope wall and tested in the laboratory have confirmed the existence of AAR activity in concrete. The phenomenon of AAR induced expansion is a long-term process and its effects become evident after considerable passage of time following the initial construction. 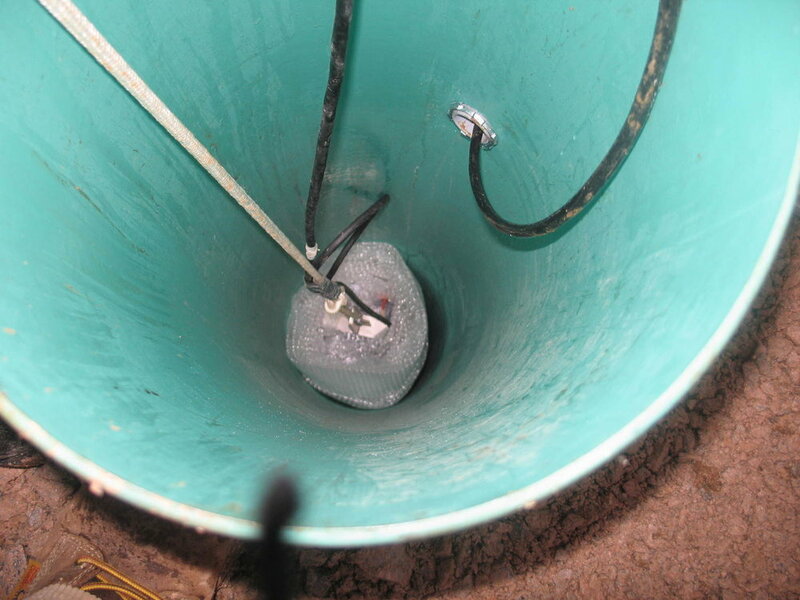 HPA engaged the services of SHM Canada to design and install an SHM system to measure the effects of AAR associated expansion of copewall concrete by installing sensors at key locations and gather data at regular intervals. 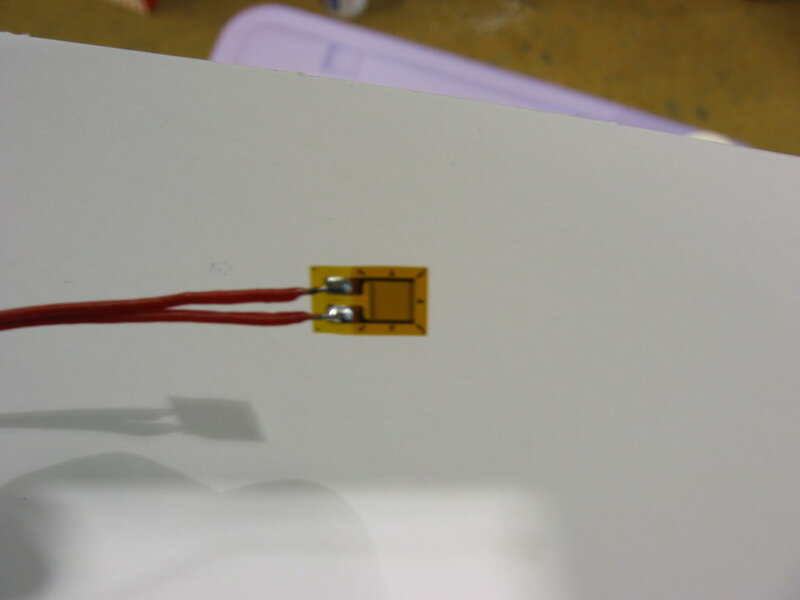 The sensors are based on vibrating wire technology and provide data on expansion and temperature. Presently the SHM system is being installed and expected to be commissioned in near future. The TransCanada Highway, passing through Corner Brook, NL, was a single carriageway highway. In 2011, the Department of Transportation, NL undertook twinning of that highway from km 689.5 to km 695. The twinning of the highway necessitated provision of an underpass for the passage of local vehicular traffic. The type of structure selected for the underpass was a corrugated steel culvert with a span of approximately 13 m and maximum height of 5.5. 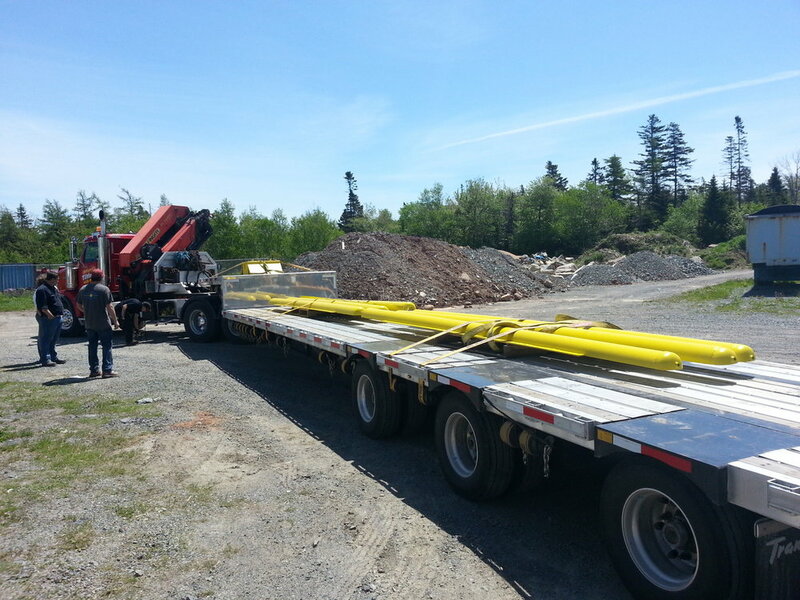 The design of the steel arch culvert, designed and installed by AIL Industries based in Dorchester, NB, was based on a recently developed Ultra-Cor corrugated profile. 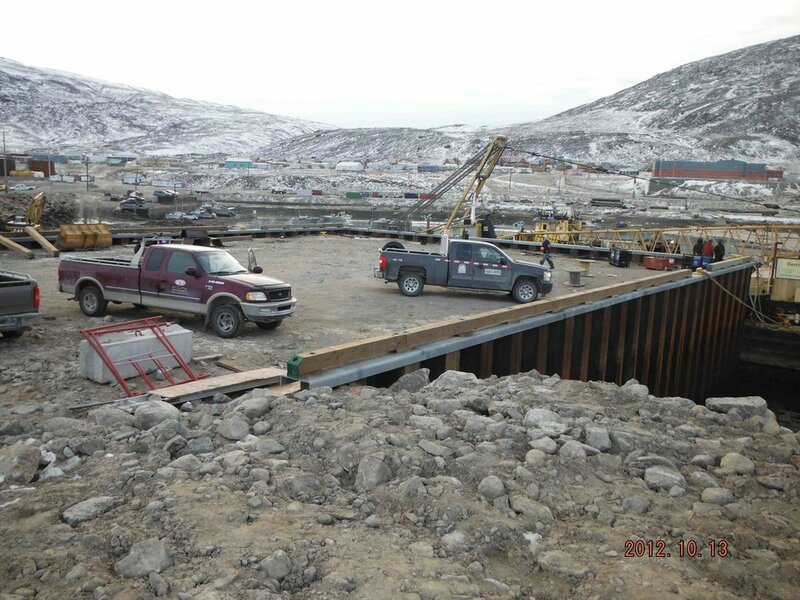 To assess the effectiveness of the design and confirm design assumptions, SHM Canada was selected to design and implement and instrumented monitoring system on the culvert. SHM Canada designed, installed, and operated a remote monitoring system that included 24 strain gauges, three temperature sensors on a selected ring. The data communication was effected through a cellular modem. The system was continuously monitored and data retrieved on a daily basis. The data were checked for consistency, then forwarded to the client. Due to the lack of electrical power lines, the monitoring system was powered by a lead-acid battery charged by a solar panel. To prevent the acid in the battery from freezing during harsh Newfoundland winter, a unique battery protection system was developed and successfully implemented. 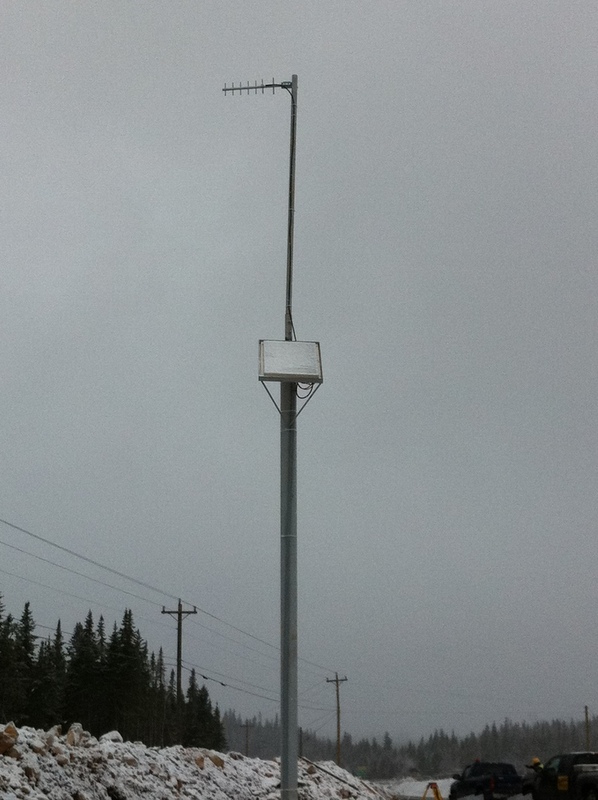 The fact that no data was ever lost, from the time the system was installed and commissioned in December 2011, and until its decommissioning in July 2013 (a period of 18 months) attests to the robustness of the system design, attention to detail, and continual follow up by SHM Canada engineers. The Canso Causeway Swing Bridge, spanning the Canso Canal, connects Cape Breton Island with the Mainland Nova Scotia. Carrying a two lane highway and a railway line, The Bridge carries a significant volume of vehicular and railway traffic, and as such, is a vital communication link not only to Cape Breton Island, but also to Newfoundland. The bridge swings open each time a vessel passes through the Canso Canal. 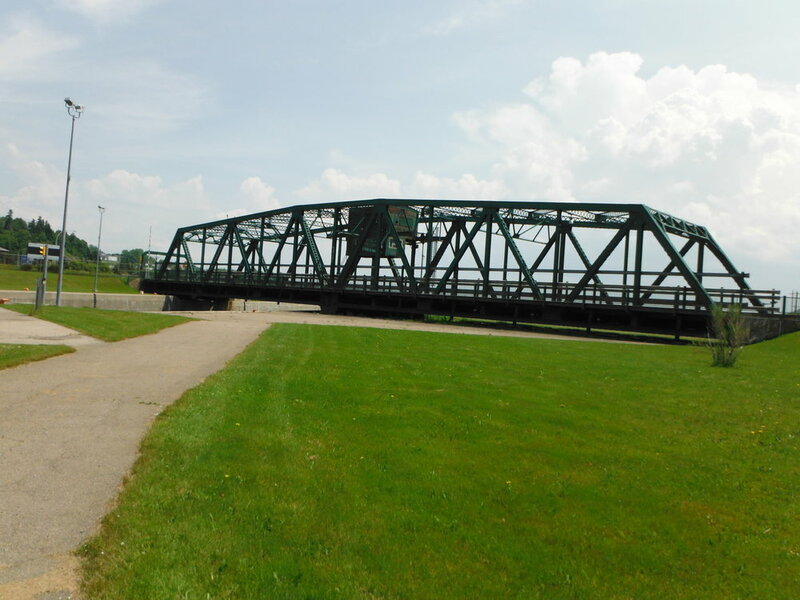 It is estimated that over 125,000 vessels of various sizes and tonnage have passed through the canal since its construction in 1955, and it would be safe to assume that the bridge has gone through approximately the same number of opening and closing cycles during its life. In addition, the bridge has been subjected to significant vehicular as well as railway traffic. The work included visual inspection of the bridge and the substructure. The inspection of the superstructure and members located over the canal was carried out using rope access technology thereby avoiding the use of scaffolding and other access equipment and reducing the bridge closures to a minimum. A structural evaluation of the superstructure was carried out to identify structural deficiencies. Based on the inspections and structural evaluation, SHM Canada provided recommendations on immediate, short term and long term maintenance requirements and upgrades, and associated forecasted costs. In May 2014 SHM Canada was commissioned by NSTIR to design the recommended repairs and replacements. Passage of vessels through Canso Canal is controlled by two pairs of sector gates, located at the northern and the southern ends of the canal. Each vessel passing through the canal is required to come to a complete stop near a ship arrestor, installed upstream from the exit gates. The gates are then opened and the boom raised, and the vessel exits the canal. The arrestor spans across the canal and protects the gates from accidental vessel impact. It is comprised of a set of steel wire ropes suspended from a structural steel boom. If a vessel is unable to stop at the designated stopping point, it would come in contact with the steel wire ropes suspended from the boom. The ropes anchored at one end of the canal, and wound over a steel drum at the other, stretch across the bow of the vessel and are released in a controlled manner and prevent it from impacting the gates. Since the construction of the canal, there has been only one instance of a vessel overshooting and colliding with the arrestor. Due to aggressive climatic conditions and lack of use the cables were frozen in place, and the sheaves routing the cables had corroded and were no longer functional. SHM Canada was commissioned to design the complete rehabilitation of the ship arrestors that included replacement of cables and sheaves, replacement of corroded booms, and remediation of concrete deterioration. 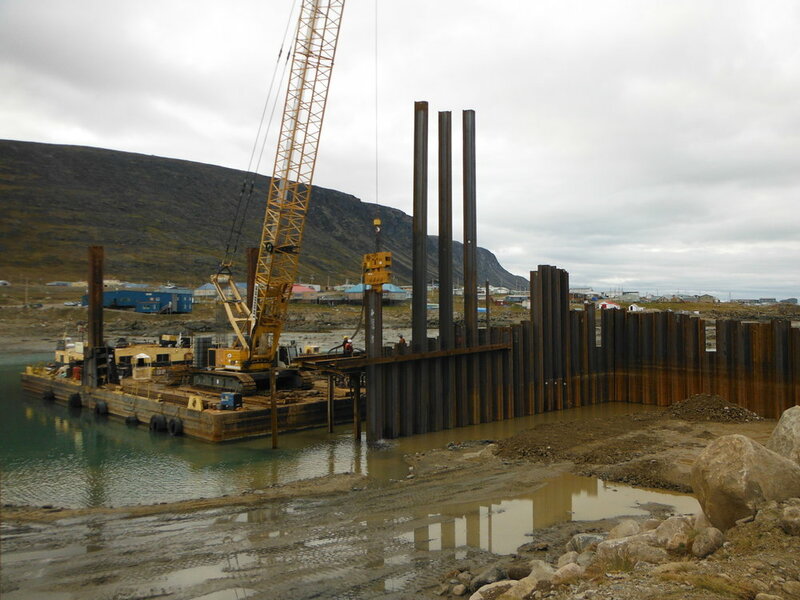 SHM Canada was selected by PWGSC to provide resident marine construction inspection services for the construction of a sheet pile fixed wharf at Pangnirtung, Nunavut. The scope of work included inspection of each stage of work, maintenance of daily work records, preparation of daily progress report ,and liaison with the PWGSC project officer. A daily progress report included a list of operational equipment and personnel on site, challenges and delays, and general observations on the weather and the progress of the work, including photographs. The daily inspection report prepared by the inspector was reviewed at SHM Canada office in Halifax for accuracy, presentation, and consistency before being forwarded to PWGSC Project Officer. The weather conditions and significant tidal range posed challenges for the contractor as well as SHM Canada resident inspector. The overall working season was limited due to the geographic location of the site. A significant amount of work had to be carried out within an extremely small window of opportunity, while some of the work could only be carried out during high tides. This required the inspector to adapt to a constantly changing 12-hour work schedule through close liaison with the contractor. Lack of reliable telephone and internet services posed a significant challenge in communicating effectively with the SHM Canada office in Halifax and the PWGSC Project Officer based in Winnipeg, MB.